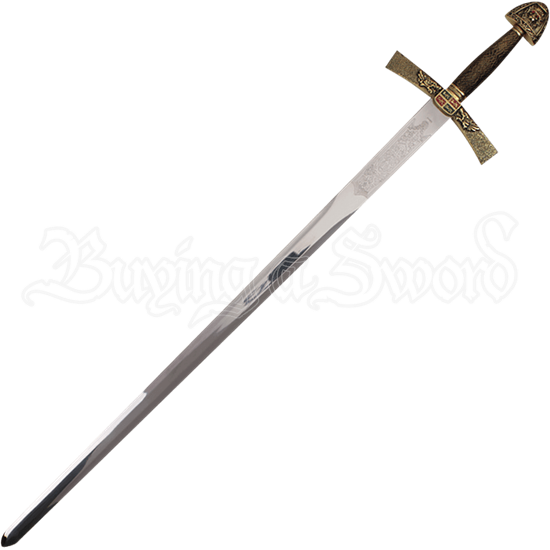 Inspired by Walter Scotts literary hero, the Ivanhoe Sword with Plaque features a stainless steel medieval style blade made remarkable through intricate and ornate heraldic detail and antique brass finishing throughout its hilt. This sword features a rectangular crossguard with arms that angle slightly upwards towards the blade, which itself features delicately etched filigree. A red and green shield decorates the center of the guard, framed on either side by roaring lion heads. Artfully textured to help support a sure grip, the rounded handle appears as though tightly wrapped by cord. At the end of this replica sword, the spade shaped pommel features the face of a lion with inset red gemstones emphasizing its fearsome gaze. With the included wooden wall plaque, this decorative blade is easy to display, bringing a sense of medieval chivalry into the home. 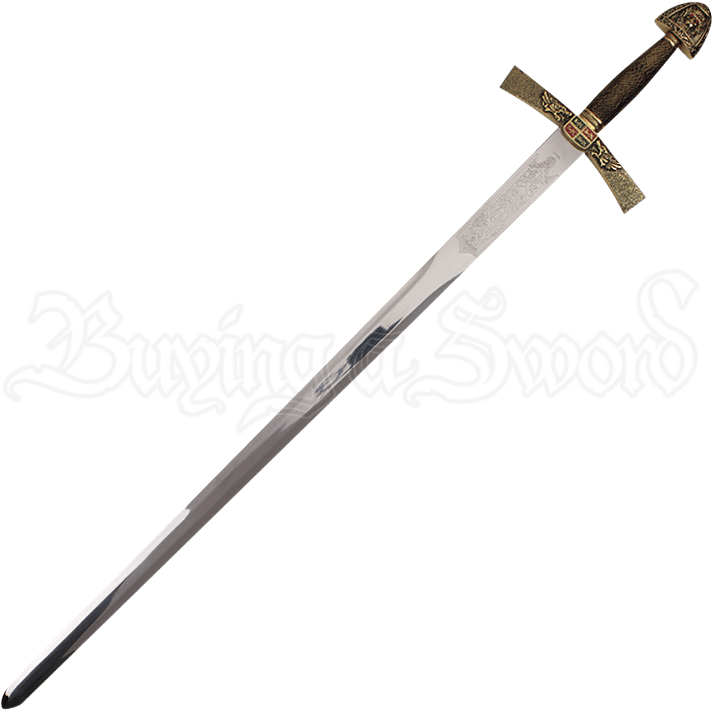 Add this ornate Ivanhoe sword to weapons collections and historical displays, or gift it to a loved one with a fondness for medieval history the 1819 English novel.